Synergy delivers “Positively Outrageous Service” in the Prescription Discount Industry. On November 25, 2003, the United States Congress passed the most far-reaching changes to Medicare in its history, offering all 40 million people in the program help in paying for prescription drugs. This initiative served as a bridge to assist seniors in advance of the 2006 Medicare Prescription Drug Plan. ScriptSave is a leading provider in the Prescription Discount Management industry and one of the fastest growing businesses in this industry. ScriptSave has built their business by serving the end user and dedicating themselves to a concept they developed known as “Positively Outrageous Service” or “POS”. This commitment to the customer experience has been the fuel of ScriptSave’s rapid growth and of particular value in the market that they service which is comprised primarily of senior citizens. Historically, ScriptSave has ensured POS in all interaction with its customers by establishing its own customer contact centers at its corporate headquarters in Tucson, Arizona. In fact, ScriptSave’s executive management team was highly resistant to the concept of outsourcing customer contact because the level of POS they practice was viewed as impossible to replicate outside of their immediate control. As evidence of ScriptSave’s commitment to POS, they have earned many prestigious kudos including the Wells Fargo Copper Cactus Award for 2003 and 2004: they were recognized as one of Inc. Magazines 500 Fastest Growing Private Companies; Rated “Best Workplace in Tucson” and featured as a case study in success by the Franklin Covey Company. ScriptSave had built an internal culture of POS and this transcended throughout their organization and was well demonstrated in their internal contact centers. In May of 2004 ScriptSave found themselves in a precarious position as mass advertising surrounding the Medicare Prescription Savings Plan by many of their plan sponsors resulted in a deluge of phone calls from seniors anxious to enroll in the savings plan offered by ScriptSave, at no cost to the senior. When call volumes rapidly exceeded 3000 calls per day for this product alone, ScriptSave recognized that their internal call center along with an outsourced partner comprised of at-home agents were quickly being crippled by the volume. ScriptSave and Synergy Solutions entered into a preliminary arrangement to offload some of the massive volume and began to return calls to the 20,000 people who had left messages in the IVR system. The goal was to service the customers, clear out the call queues, and demonstrate POS throughout every interaction. This goal was quite challenging when you consider that Synergy was simultaneously adding hundreds of Customer Contact Representatives (CCRs) to consider that Synergy was simultaneously adding hundreds of Customer Contact Representatives (CCRs) to the program and any learning curve that they experienced had to be completely transparent to the customers that they serviced. The Synergy Solutions culture is based on “Synovation” – the effective combination of Synergy and innovation – otherwise known as the Power of Team. Synergy rapidly deployed resources across our organization within Contact Center Management, Training, Account Management, Technology and Quality and within 16 days we had 175 CCRs trained to handle ScriptSave calls across 4 centers across the country and 140 of these CCRs had to be deployed within the first 5 days. This rapid deployment required that a member of ScriptSave’s management team personally travel to each of these sites and educate our CCRs on ScriptSave and its services but most importantly on replicating POS on each and every call. Synergy’s Chief Operating Officer personally accompanied ScriptSave on these trips to ensure that all hands were on deck for a smooth implementation. CCRs accessed a web interface where they were required to handle sensitive information and guide senior citizens through a complex process in order to enroll them for the prescription savings card and determine their eligibility for transitional assistance offered by the government. Within a matter of days, Synergy was handling in excess of 3000 calls per day for ScriptSave and had effectively cleared all queues and was operating with an Average Speed of Answer of less than 30 seconds. The calls themselves were complex and the average call lasted 7 minutes. ScriptSave’s mandate never wavered and the objective was to ensure a professional interaction rather than rush seniors through a complicated process. Synergy was able to rapidly replicate ScriptSave’s training module and dedicated a corporate trainer to working across all sites to educate new CCRS and ensure that service levels were maintained. Within 3 weeks, ScriptSave was comfortable enough to allow Synergy to launch the program with another outsourced provider in order to allow additional capacity for call spikes. This relationship was managed solely by Synergy and our trainer was now qualified to educate the CCRs at the outsourced facility. In fact, within 2 weeks of working with Synergy, ScriptSave completely discontinued their use of their original partner as call queues were current, there was no need for seniors to leave call back numbers in IVR and service levels were even stronger than in ScriptSave’s internal contact centers. Soon thereafter, Synergy added its Phoenix site and began handling Spanish calls for ScriptSave. Additionally, Synergy handles multiple targeted outbound programs to various ScriptSave customers on behalf of ScriptSave’s plan sponsors. 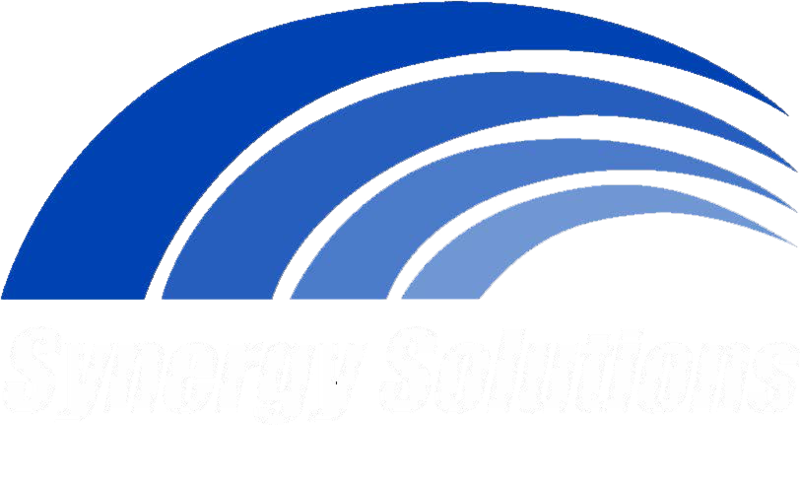 The relationship between Synergy Solutions and ScriptSave has continued to evolve. In September 2004, ScriptSave purchased additional licenses on their CRM platform and gave Synergy CCRs access to this platform so that Synergy could handle escalated calls and have a greater reach within ScriptSave’s internal systems. This relationship has allowed ScriptSave’s internal contact center operators to focus on their core products and allow Synergy to completely manage the Medicare product enrollments. The key to the success of this relationship was a rapid deployment, innovative management, flexible technology and a commitment throughout both organizations to Positively Outrageous Service.